On Dec. 15, KHS Athletics Boosters Past President Hope Lash’s dream came true. 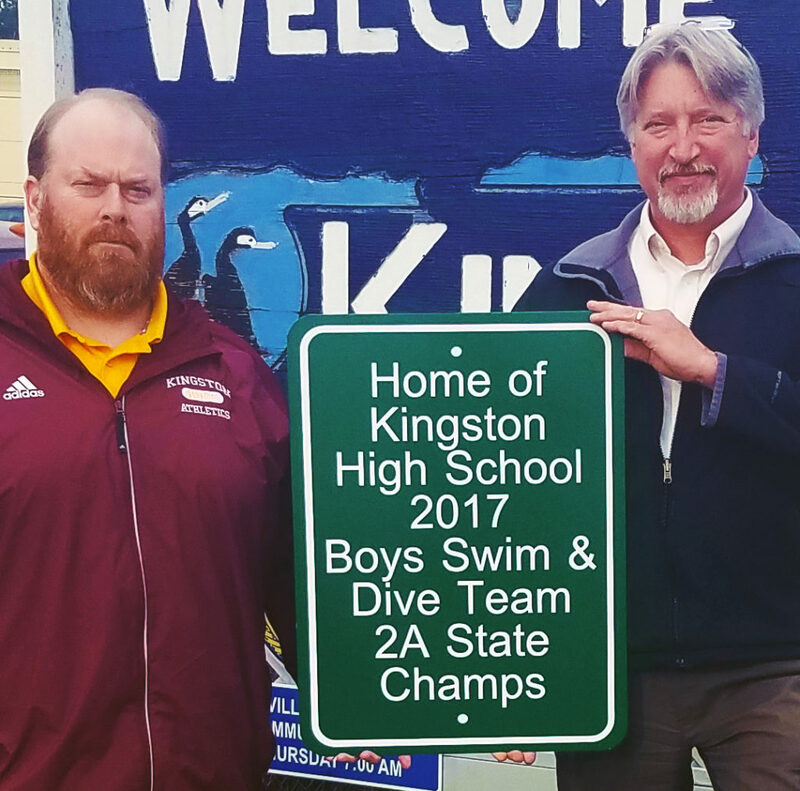 She had wanted an official State of Washington highway sign on the “Welcome to Kingston” sign that greets ferry riders as they get off of the boat; one that would let them know that the KHS swim and dive team was the 2017 2A state champions. 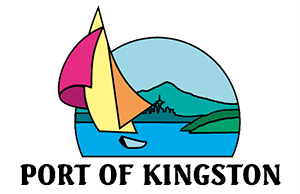 The sign is on Port of Kingston property, the Greater Kingston Chamber of Commerce owns and maintains the Welcome sign.